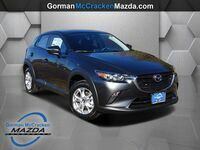 Mazda stands apart from the competition by offering sporty styling and performance on their entire vehicle lineup. This includes even the company’s crossover lineup. 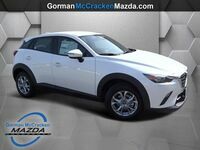 The 2018 Mazda CX-3 in Longview TX brings Mazda styling and performance to the small crossover class. All Mazda CX-3 models will be powered by a 2.0-liter four-cylinder engine. Performance numbers on this engine are rated at 146 horsepower and 146 pound-feet of torque. The engine is paired with a six-speed automatic transmission. Both front-wheel drive and all-wheel drive systems are available. The engine earns up to 29 miles per gallon in the city and 34 miles per gallon on the highways. Car shoppers considering the 2018 Mazda CX-3 will have three trim levels to choose from. The crossover is offered in Sport, Touring and Grand Touring models. The Sport trim level begins by offering air-condition, push-button start, cruise control, Bluetooth, a touchscreen infotainment system, USB connectivity, Mazda Smart City Brake Support System and a rearview camera. 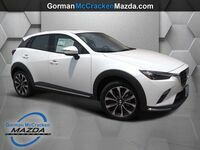 Moving up to the Mazda CX-3 Touring model will add heated mirrors, automatic headlights, automatic wipers, faux leather-trimmed, heated front seats, leather-wrapped steering wheel, proximity entry, Automatic climate control, blind-spot monitoring and rear cross-traffic alert. The top of the line Grand Touring trim level adds a sunroof, LED exterior headlights, taillights and foglights, LED daytime running lights, leather-trimmed seats, a head-up display, steering wheel paddle shifters, satellite radio and a Bose sound system. Additional available systems include adaptive cruise control, forward collision warning system with automatic braking and lane departure warnings. Storage space is an important factor for most car shoppers considering a small crossover like the Mazda CX-3. Behind the second row of seats, the 2018 Mazda CX-3 offers 12.4 cubic feet of cargo space. Folding down the rear seats increases this number to 44.5 cubic feet.